It’s always difficult to be caught up in a mad rush at the end of the tax season to get your federal taxes filed on-time. Filing at the last minute is bound to be particularly stressful this year due to the scaled back phone support from the IRS and the additional requirements set by the Affordable Care Act. Here are some tax changes to take note of now so you are not surprised down the stretch. Sales tax can be deducted once again thanks to the last minute efforts in Congress. The primary beneficiaries of this measure are resident of states that have no income tax, as well as those living in states will considerably low income taxes. There is an IRS Sales Tax Deduction Calculator online to help assess the amount covered. Mortgage insurance premiums may also be deducted in some cases. Only people with a 2014 gross income that is less than $109,000 and who took out the loan after 2006 are eligible for the tax break. Programs like TurboTax Online will make the calculation for you automatically when you enter your income and your mortgage insurance paid. Seniors are also going to get a couple additional breaks this year thanks to Congress. Those who are 70 and a half years of age may transfer as much as $100,000 from their individual retirement account (IRA) to a qualified charity. This will not be included in the gross income but instead count as the required minimum distribution. This may reduce taxes on Social Security benefits and avoid the Medicare high income surcharge. Note that these tax breaks are only for the 2014 tax return. Congress has not made them permanent and the changing political landscape is likely to affect their renewal for the following year. 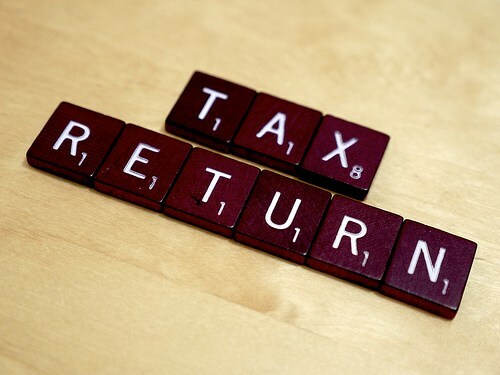 Make sure to check several online tax resources next tax season to make sure they were renewed again. Single taxpayers with adjusted gross incomes in excess of $200,000 and married taxpayers with $250,000 or more may have to pay 3.8% surtax on their investments. Tax-exempt interest is not covered by the surtax. This entry was posted in TurboTax and tagged Adjusted gross income, Executive officer, Family business, Fraud, Income tax, Medicare (United States), Social Security (United States), Tax rate, Tax Return, tax return calculator, tax return form, tax return online, tax return status, tax return usa on March 27, 2015 by Steven R Patterson. Using Turbo Tax 2013 is a good way to avoid tax scams in the first place, seeing as how you can e-file your paperwork with confidence that it will go directly to the IRS. However, there are people who will try to catch you in a scam this year, so you need to know what to watch out for. You should use www.TurboTax.com to gather information about filing your taxes correctly, in a safe manner, so these scams do not affect you. Even if you have already used Turbo Tax 2013 and www.TurboTax.com to file your taxes, you could get an email saying that you are going to be given a second tax return. The email will look official, even down to the IRS logo, and it will state that you just need to resubmit your information to get the extra money. Do not respond to this email, because the information will really be used for identify theft. If you decide not to use Turbo Tax 2013 and www.TurboTax.com, you might have to hire a tax preparer to file your taxes for you. Be very careful about what papers you sign. Some preparers will have you sign over your entire return so that they get to keep it instead of you, and, since you signed the documents, this is totally legal. You can claim all of the money that you give to charity as a tax write-off when you file with Turbo Tax 2013. However, make sure that you are not donating to a fake charity, which will simply steal your money as you attempt to save on your taxes. After you file with Turbo Tax 2013, you might get a call from a fake IRS agent, telling you that you need to provide you bank account into to get a grant. This is a scam to steal money directly from the bank. Protect yourself this year. Learn all that you can about scams, and then use www.TurboTax.com to avoid them. With a little research, you can protect your identity and your money. This entry was posted in TurboTax and tagged 2013, avoid, Computer file, Internal Revenue Service, scams, Tax, Tax preparation, Tax Return, top, turbo, United States on April 8, 2013 by Steven R Patterson. A considerable amount of tax can greatly help with your tax return upon declaring your legal dependent. Not only will it boost your own exemption but it can also make you eligible for other tax benefits. You can certainly avail of the child tax credit once you have claimed a legal dependent. Keep in mind that the IRS has restrictions or standard qualifications as to whom you can claim as a legal dependent. Never presume that any person or anybody living in your house directly qualifies as a legal dependent. What is a Legal Dependent? In general, a dependent is a person who relies on you for more than 50% of his or her finances. He may have an income from a source or totally depending from the help you are giving. But for the IRS, a legal dependent can be your child or anybody that you are providing aid financially. A child or your spouse living in your home is the most common type of dependents that mostly everyone claims. Your elderly parents and if you have a child in college, they can still be considered as dependent. To claim a brother, sister, stepsister or any of your family relative as a dependent, he or she should only produce an income less than the standard personal exemption rate for that particular year. The IRS has provided 5 attributes to identify legal exemption of a claimed dependent. These are the following: support, citizenship, relationship, gross income and joint return. With regards to citizenship criteria, it requires that a dependent is a U.S. citizen, a legally adopted foreign child currently residing in the U.S., a local of the U.S. or resident of Mexico or Canada within the year. Before you can claim a dependent, be sure that you are not claimed as a dependent by another person. Each qualified dependent can only be claimed by one taxpayer in that same year. To ensure that only one person has filed the person a dependent, no other relative should claim the child as a dependent. To fully qualify the kid, he should also be residing with the claimant for more than 6 months of the same year. Make sure that you support your claim with documents and keep those important files for future use. After you have identified that the person is your qualified dependent, you should, at this time, be keeping significant receipts. It would be in your best interest to take note of any medical, daycare or even itemized expenses that was used or occurred for your dependent. It may seem complicated but the rules determined by the IRS are just very easy to follow. Sean Harris is a tax blogger from Miami Florida. You can check out his blog irs-easy.com for more extensive information on doing your taxs yourself . This entry was posted in IRS Refund and tagged boost, Child tax credit, Internal Revenue Service, irs, kids, Law, refund, Sean Harris, Tax, Tax refund, Tax Return, TurboTax, United States, United States Department of the Treasury on March 19, 2013 by Steven R Patterson. In recent years, the Canada Revenue Agency (CRA) has been expanding the methods available for you to file your income taxes. As the digital revolution continues, the agency has focused much of its energy on developing online filing methods. However, traditional means are still available to facilitate your Canada income tax filing. The CRA has established NETFILE as an online option for filing your Canadian tax return. The CRA has certified the commercial software and the Web application of the program. Also, there exists a number of free software applications for use with NETFILE. You may employ a service provider to submit your taxes online with the EFILE program to prepare you return. After completing your return, take your forms to a digital service provider to file online for free. This digital platform traditionally results in your return being processed quickly. Regardless of the nature of your return, every tax filer in Canada has the option of submitting his or her return by post. Simply complete the required forms, and place them in the mail for the cost of a stamp. If your taxes are complex, if you own a business, or you just don’t feel confident about completing your income tax returns on your own, you may hire an accountant to prepare your taxes. Whether you are a small business owner who doesn’t have the time to complete your returns or you like the convenience of the Internet, there is an option for you to successfully file your Canadian tax return. This entry was posted in TurboTax Canada and tagged canada, Canada Revenue Agency, canadian, CRA, easy, filing, income, Income tax, NETFILE, Social Insurance Number, Tax, Tax preparation, Tax Return, TeleFile, TurboTax on February 7, 2013 by Steven R Patterson. There are several fundamental principles that need to be considered while filing for Canada’s income tax. Does your Canadian income tax package contains complete information and all the relevant documents that are required to file for income taxes in Canada? Significantly, the tax payee must keep in mind the deadlines for filing a Canadian tax return. In case, if you are obliged to pay taxes on your income and you file a Canadian tax return after the deadline then you will be penalized as per the Canada Revenue Agency rules. • You must provide your Social Insurance Number when you file your Canadian tax. • You must provide your tax information slips to give the information to the Canada Revenue Agency about your earnings and the amount of deducted tax. • Also you must have tax deduction receipts to provide relevant information about the tax deducted from your income. These are the key points that will help you to file a Canadian tax return with no shortcomings. Moreover you can file your Canada income tax online. Though the Canadian income tax filing procedure via phone has been ceased, you can still file your taxes via mail or by employing someone. Besides, if you file online then you have the option to make alterations too. If you owe your taxes to the CRA then it is advisable as well as crucial to arrive at a tax services office as soon as possible for better assistance. This entry was posted in TaxBrain, TurboTax, TurboTax Canada and tagged canada, Canada Revenue Agency, canadian, Computer file, file, gear, income, Income tax, Income taxes in Canada, Social Insurance Number, Tax, Tax Return on February 5, 2013 by Steven R Patterson.